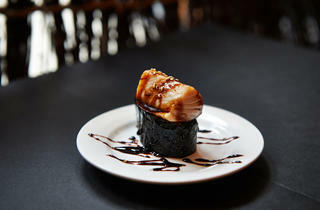 The only menu you’ll find here is for drinks. 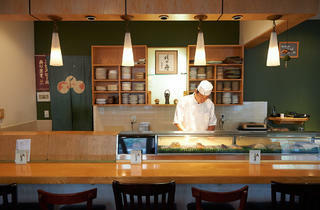 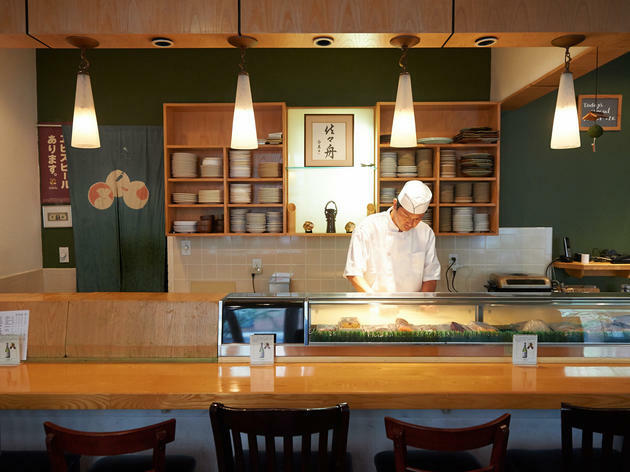 The fish prepared at this tiny outpost of a popular L.A. sushi spot is governed entirely by chef Kenji Takahashi’s whim. 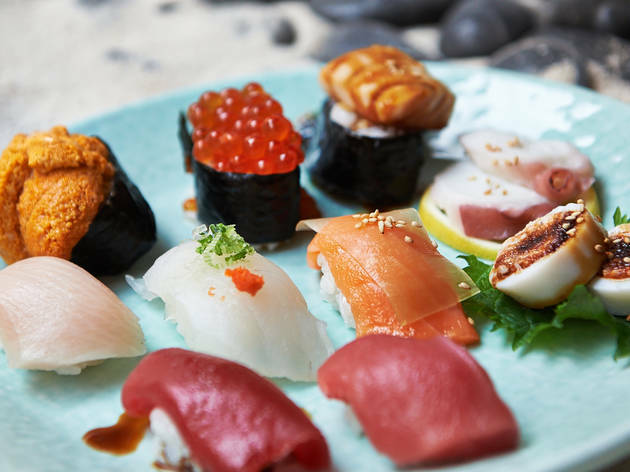 There’s nothing to fear (except maybe the wasabi—they use the much spicier real stuff): Sasabune’s omakase is culled from Takahashi’s daily New Fulton Fish Market finds. 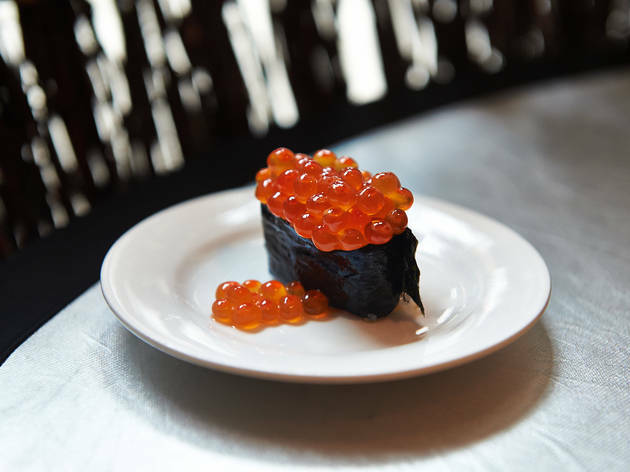 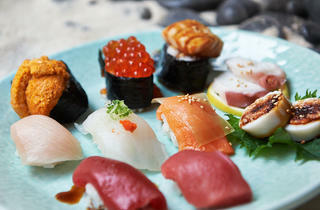 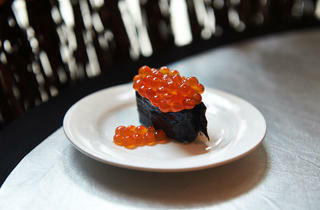 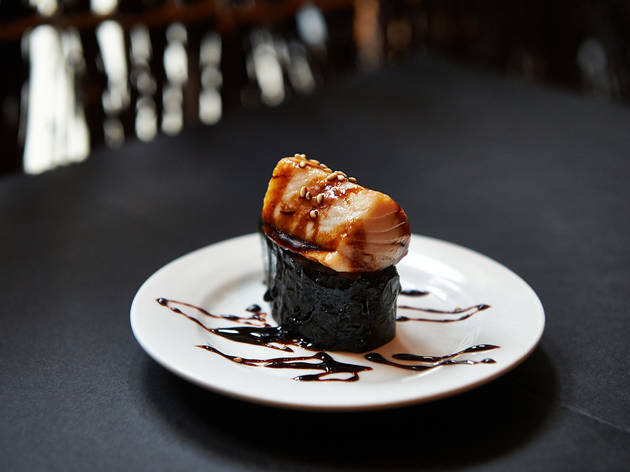 He and his team dole out raw numbers, from favorites like salmon and yellowtail to more exotic sea creatures, including bonito in a spicy-sweet homemade soy sauce and a black cod in an eel sauce you’ll want mop up with your fingers.